Do you want to build muscles at home? If you want, you can't miss this BM-519 Household Indoor Fitness Adjustable Dumbbell Stool Fitness Stool. durable and abrasion resistant. It can help you to exercise abdominal muscles and leg muscles. And it can also be used as a dumbbell stool, so that you can exercise the arm muscles. Moreover, this fitness stool is adjustable, so you can adjust it to the most comfortable height of yours. So why don't you bring this practical fitness stool home? Just take action! EXERCISE FOR YOUR MUSCLES. 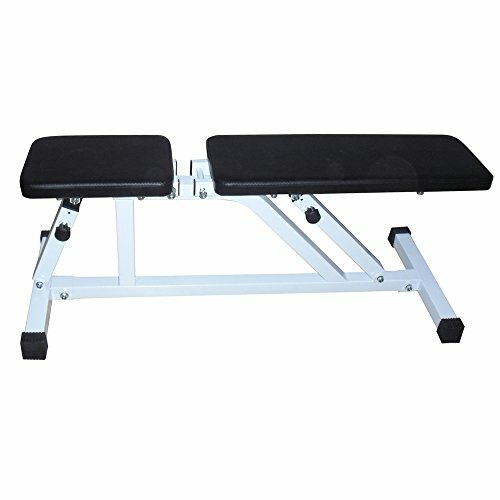 This adjustable fitness bench can help you to exercise abdominal muscles and leg muscles. And it can also be used as a dumbbell stool, so that you can exercise the arm muscles. HIGH QUALITY: This fitness stool is made of high quality Q195 steel and PU leather, which is stable, durable and abrasion resistant. Designed for your barbell and dumbbell workouts targeting different muscle groups. Bench is equipped with steel construction, high-density upholstery, and a powder coated finish. As our products are all in US warehouse, you can get the product within 7 days. If you have any questions about this product by GUJJI FUN, contact us by completing and submitting the form below. If you are looking for a specif part number, please include it with your message.